The political lives of every president from John Adams to Zachary Taylor have been well-previewed in the biographies of their predecessors. This hardly seems surprising, so I almost wouldn’t mention it. After all, it’s not unexpected that I met Taylor during Polk’s biographies, or that Polk was often mentioned in Van Buren’s and Tyler’s biographies. But until I began reading the first of my two Millard Fillmore biographies I had hardly heard anything of him since I was in high school. Fillmore was mentioned – but just barely – while I was reading about Zachary Taylor. In both Taylor biographies, Fillmore’s name came up only long enough to allow for the presidential baton to be passed to him following Taylor’s death. This led me to worry that Fillmore’s life, and presidency, were substantially less exciting than those of Taylor, Tyler or William Henry Harrison. After all, if Fillmore had been…you know…interesting (or a highly successful president) his name might have come up a time or two before now. I’m now halfway through my first Fillmore biography and thankfully his early life is fairly interesting – or else the author is exceptionally good at spinning straw into gold. But I’m not far enough along to judge his accomplishments or failures as president. All I know is that historians have graded him poorly as president – just ahead of Bush (43) and a little behind Tyler and Taylor. And that’s not company you want to keep as a former president. The first of my biographies is “Millard Fillmore: Biography of a President” by Robert Rayback. This books appears on nearly every list of the best biographies of the presidents. But I suspect very few people ever get around to reading a “best biography of Millard Fillmore.” Published in 1959, Rayback’s biography is the most thorough I could find on this president and seems to be well-received by its readers. 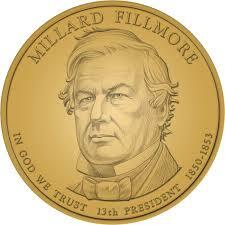 The second Fillmore biography I’m reading is “Millard Fillmore” by Paul Finkelman. Published in 2009, this will be the third member of The American Presidents series I have read. 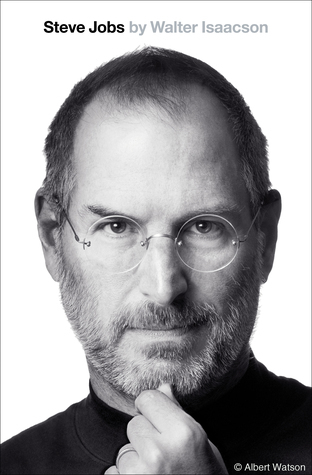 If my past experience with this series is any guide, this will be fast-paced and punchy biography. But how well it diagnoses the personal and political life of a neglected and rarely examined president remains to be seen – readers have not been uniformly satisfied with this book. And although you probably weren’t wondering, there are just over 17,000 people in the United States named “Millard.” And there are nearly 5,000 people with the last name “Fillmore.” But, apparently, not a “Millard Fillmore” among them. You are an amazing man who, I can’t help but think, are doing us all a service. Hard for me to believe Filmore is very interesting at all. Now I finally know who Fillmore Street in San Francisco was named after. I second Rörschåch about you doing a service for us all. Thanks! And in the spirit of it-really-IS-a-small-world your comment jogged my memory so I looked back at my notes to see that I did in fact drive along part of Fillmore Street this past fall when I was seeking out an excellent espresso cafe in San Francisco recommended by a friend (Blue Bottle on Linden St.) But I’m not sure what Millard’s connection to the area is…? I had looked into Pendle’s biography but a couple of people told me they really didn’t enjoy it, so I replaced it with Finkelman’s biography. If you do read it, let me know what you think.